The most versatile single-stage exhaust filter media made for paint booths, GFS Wave accommodates all coatings and a variety of spray applications, from clear coats to high solids paints. With an exceptional removal efficiency rating of 99.94 percent, GFS Wave filters minimize particle emissions. In addition to protecting the environment, a clean exhaust air stream shields the paint booth’s exhaust chamber, ductwork and fan from overspray accumulation. The convoluted design of GFS Wave filters maximizes surface area for exceptional depth loading and holding capacity. By effectively capturing and retaining overspray, GFS Wave filters reduce runoff. This results in less cleanup on the floor of the paint booth and quicker, more efficient filter changes. With a high holding capacity of 4.4 pounds, GFS Wave paint booth filters are designed to depth load with minimal face loading for a longer filter life and excellent performance. The 99.94 percent particle removal efficiency minimizes particle emissions, protecting the environment and shielding the paint booth’s exhaust chamber, ductwork and fan from overspray accumulation. GFS Wave filters are kept in stock at GFS for quick turnaround and fast shipping to virtually any location across North America and the world. 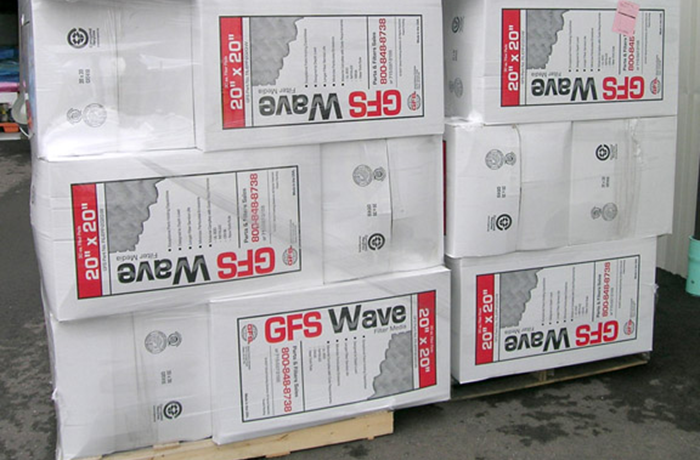 In addition to stocking filters at our headquarters in Osseo, Wisconsin, GFS Wave filters are also stocked in-house by many of our local distributors for faster delivery of filters to your location. 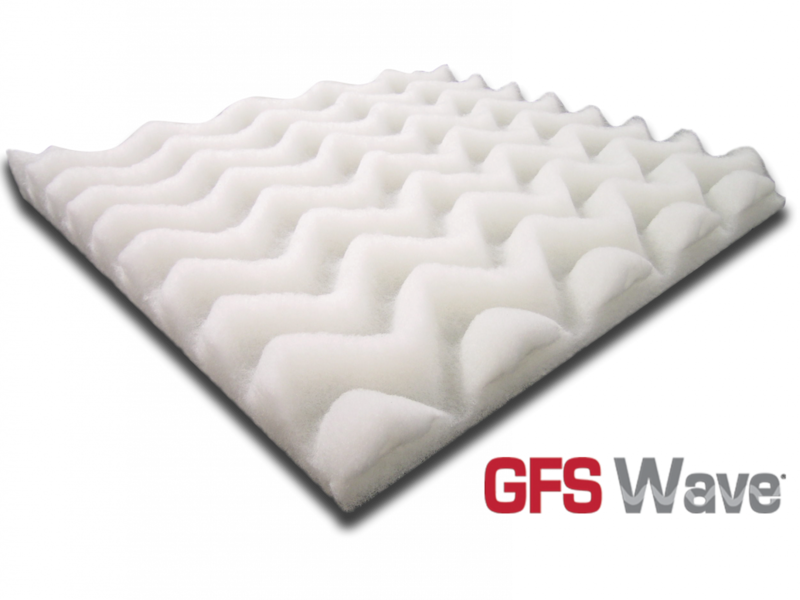 GFS Wave filters are available in pads or rolls in a variety of sizes to accommodate paint booths of all sizes and production needs. 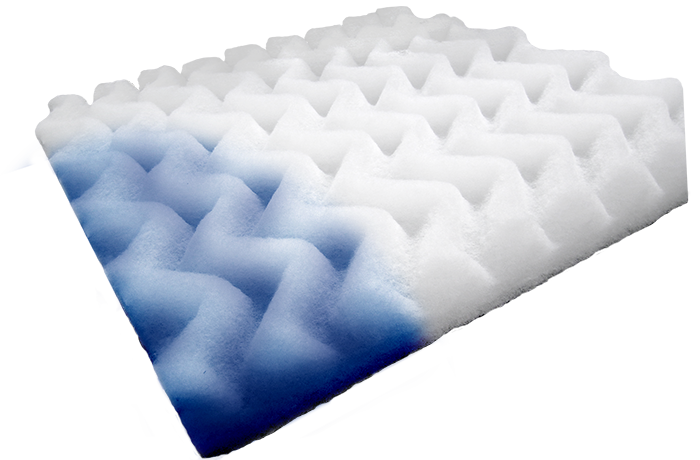 Wave filter pads help reduce waste and save money, as you can replace each pad individually once it is soiled. 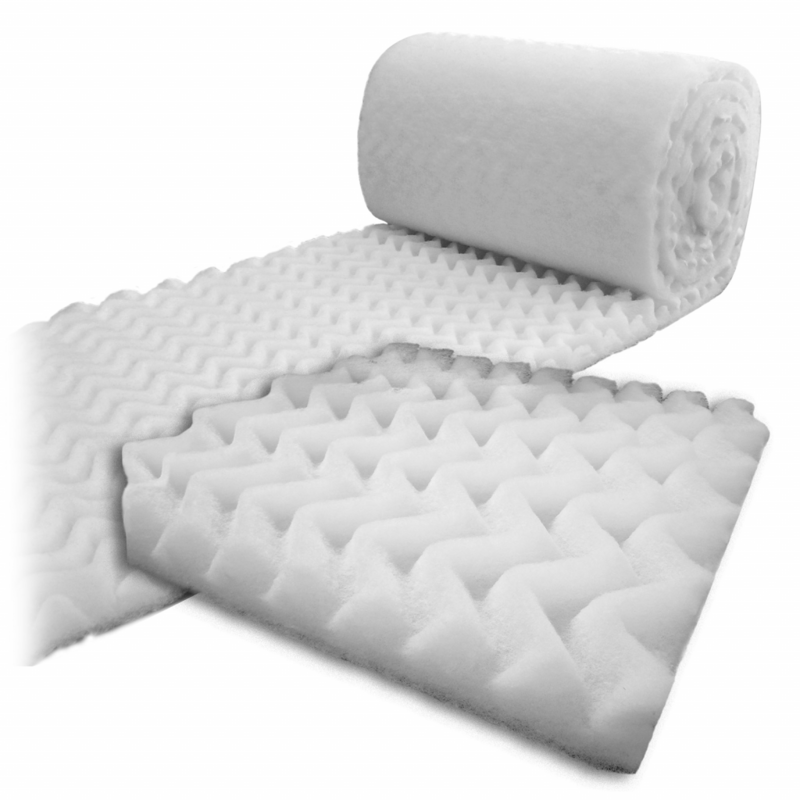 Alternatively, Wave filter rolls are excellent options for high-production businesses. Fill out our request form and we’ll send you a full set of GFS Wave filters to test in your booth.